What happened to the neutral's favourites? The 1995/96 Premier League season had a lot going for it. Three years into its new form, English football had started to resemble the imagined spectacle. The pitches were generally good, the standard of play seemed particularly high, and new foreign players - once only an occasional European night luxury - were beginning to become regulars on Match of the Day. Two decades on, the season is now remembered almost solely for its crescendo. 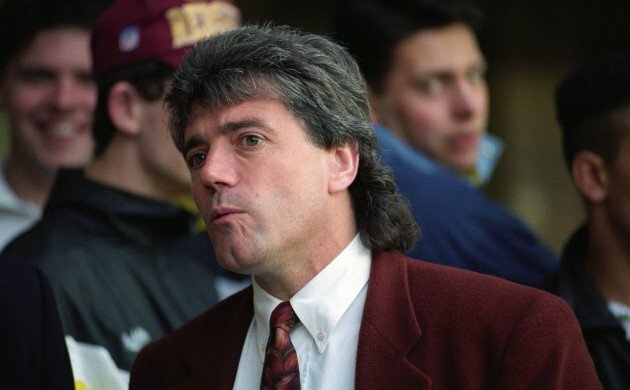 Kevin Keegan's Newcastle were gradually reeled in by Manchester United, before Alex Ferguson's side "went to Middlesbrough and got something". It's a sequence of events which has endured, partly because of Keegan himself and the rich seam of anecdotal moments his implosion created, but perhaps also because that type of title race no longer exists. Newcastle were popular. Few would contest that they played the best football in the country between 1995 and 1997 and Keegan himself was also very likeable. At a time when Manchester United were growing towards their pre-millennium peak and Ferguson was starting to firm up the lines of his own caricature, they were also a natural antidote and an easy sell as the nation's second team. Whether it sounds silly, outdated or naive now, or as a laboured attempt to portray the 1990s as a less cynical time, it genuinely seemed as if Newcastle winning the Premier League would have been good for football. Not because that would have constituted any sort of miracle - Sir John Hall was no pauper - but because a trophy for anyone other than Manchester United felt like a collective success. I can, for instance, still remember children at my school taking great delight in teasing "glory hunting" Reds when Blackburn snatched the league in 1995 and again, a week later, when Paul Rideout's header and an endless string of Neville Southall saves won Everton the FA Cup. Conversely, when Newcastle stumbled, everybody tripped and fell with them; that big schadenfreude party planned for May was bluntly cancelled. The same isn't true now. The playground one-upmanship likely still exists, but the public is no longer guaranteed a horse in the championship race - or, more precisely, there is less opportunity for emotional investment. That's highly descriptive of both English football's changing landscape and also the manner in which the game is digested. 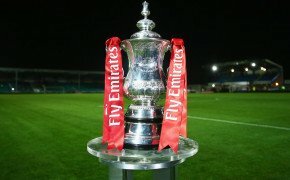 Clearly, the most obvious difference lies in the means by which the various contending clubs are able to compete: Manchester City and Chelsea have been juiced by foreign investment, United have been further empowered by the game's commercialisation, and Liverpool and Arsenal are also backed by enormous international wealth. There's no natural underdog any more. 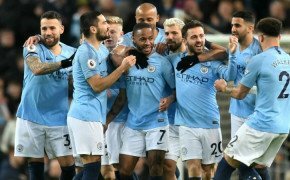 If, for instance, Antonio Conte and Pep Guardiola were to head into the finishing straight neck-and-neck in seven months' time, the neutral would probably be completely indifferent. A mild preference might be determined by some personal fondness for one manager or the other, or an eagerness to see a particular player succeed, but there would be no real hero and no obvious villain - at least not in the sense that there was in 1996. That ennui is spreading. It now encompasses genuine challengers, too. Again, it might be a perception painted by nostalgia, but it seems that progressive teams are no longer embraced. It's notable, for instance, that Everton's attempts to better themselves (admittedly, again, through foreign investment and heavy spending) attracted plenty of derision over the summer. It's more telling still that their poor start to the season has prompted such glee. Tottenham, too, appear to be in a similar situation. They have not spent vast sums of money and their resurgence is the result of excellent management and shrewd financial planning. Nevertheless, the resentment which they provoke is quite at odds with what could reasonably be expected. They're new and different, have added some novel colour to a title picture which desperately needed new life, and yet are seemingly disliked for not knowing their place. Whereas residual sympathy for Newcastle's failure remains plentiful to this day, the world reflexively sniggered when Pochettino's team fell at Stamford Bridge in 2016 and chortled away again after his team lost at London Stadium almost exactly a year later. The first example is easily attributable to the Leicester phenomenon, of course, but the second would seem to be representative of changing attitudes. That kind of reaction was once only reserved for the behemoths, the teams who it was felt had had enough success for a lifetime. Now, in 2017, it's any side other than our own. Perhaps the cost of accepting that silverware is now a privilege of the few is the reflexive resentment of any team who try to disturb that comforting hopelessness? It’s probably too tenuous to link this hardening culture to the toughening world that surrounds it. Maybe. But it does now seem a harsher environment than ever before, devoid of well-wishers, soft spots, or even neutral’s favourites.